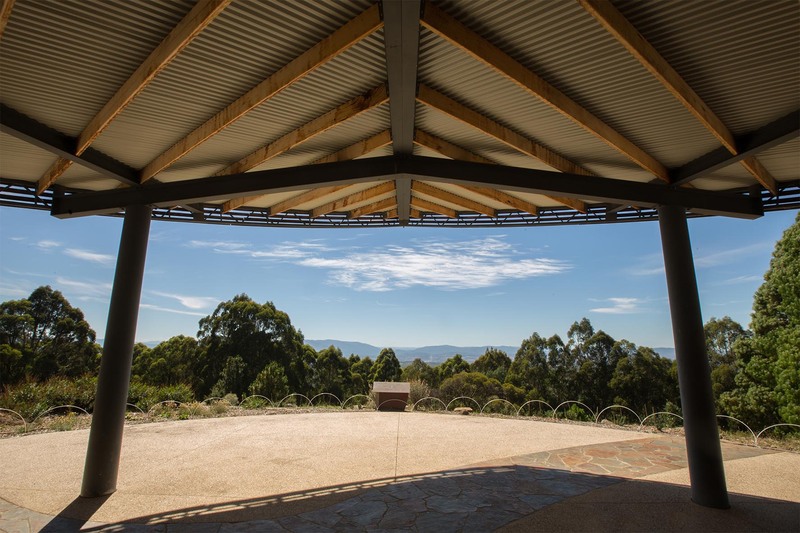 Serenity Point, Dandenong Ranges Botanic Garden, Olinda. 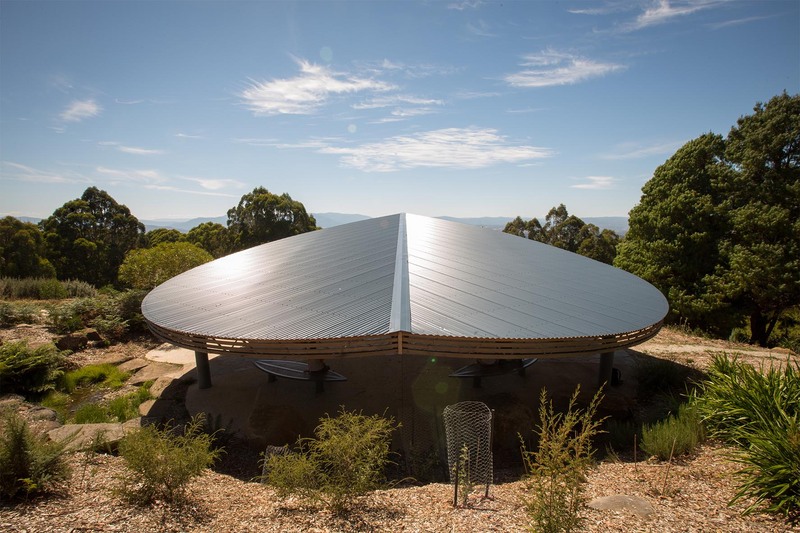 Our Leaf Rotunda is situated at serenity point at the top of the iconic tourist attraction, Dandenong Ranges Botanic Garden (formerly the National Rhododendron Garden), Olinda. This impressive structure was designed, built and installed by Activity Playgrounds. 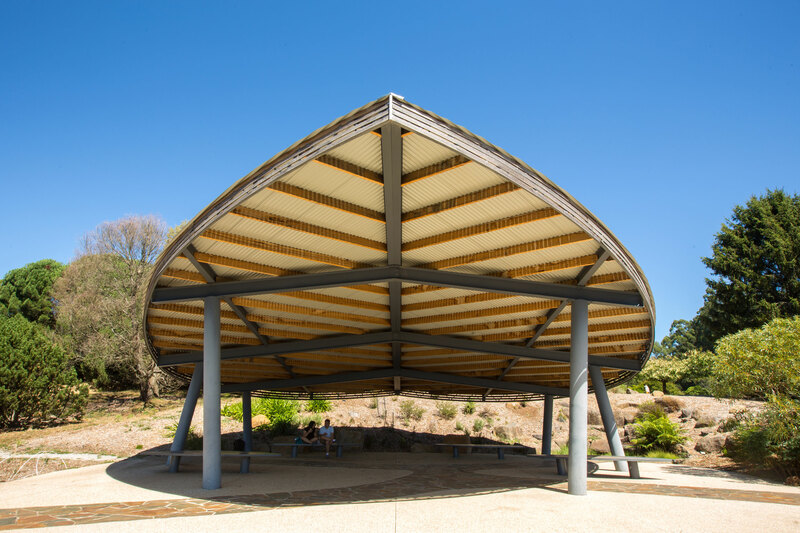 Made from steel, timber, and roofing sheets the Leaf Rotunda has been designed to reflect on its surroundings. Also featuring custom designed timber seating in the shape of leaves to relax and enjoy the view.